On April 11th a massive earthquake striking 8.7 on the Richter scale occurred to the west of Indonesia. Had the earthquake not been a ‘split’ of the earth where the plates moved into each other, rather than apart,it would have caused a devastating wave destroying beaches across the Indian Ocean. However, this time – there was nothing. I didn’t even feel a shake. I was on my motorcycle when it occurred, but the Indonesian earthquake had come and gone and I was none the wiser. Then came calls and emails from friends and family around the world concerned for my safety. What they might not have realized is that Indonesia is the widest country on earth and the 4th largest in terms of population. Simply because an earthquake happens somewhere in Indonesia, doesn’t mean it happened within 1000 miles. When people think of massive populations, countries like India and China immediately come to mind. However, Indonesia is a tremendous business market, with an estimated 250 million people spread across 17508 different islands in the South Pacific. The capital city of Jakarta has 10 million people. Its easy for that to escape as a number, but that’s a tremendous amount of people. In the major cities in Indonesia, traffic is a pain point. However, in the capital city of Jakarta, traffic is so bad, the government mandates a “no car day” every other Sunday from 6 am to 12 am on the main avenue. 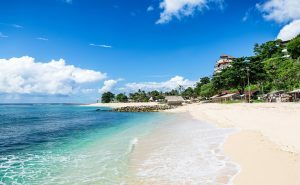 Overall, Jakarta is more of a place for business and government, for those looking for beaches, nightclubs or an expat scene, the island of Bali is notable as a playgrounds flag. Expats living in Bali can experience a very high quality of life. There are many places in Asia that have spectacular beaches, nightlife, interesting people, great food, and warm weather Bali stands out as a place that has them all in abundance. 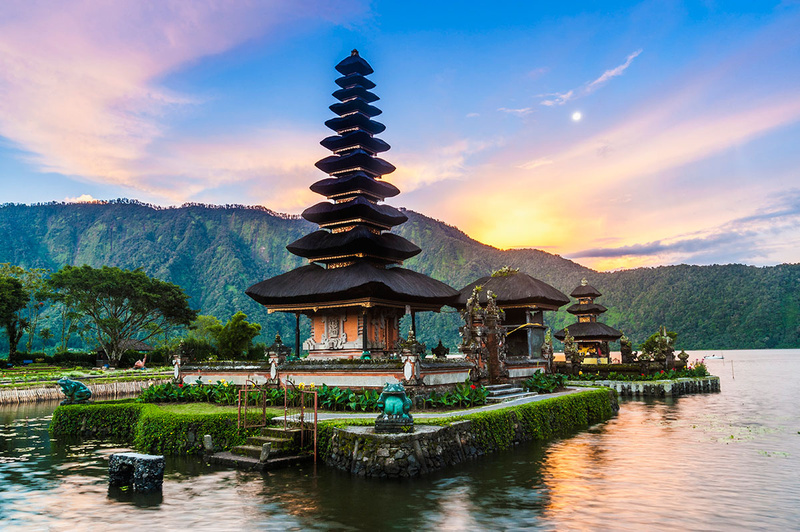 You might think that the island of Bali, located between the islands of Java and Lombok, in Indonesia, is nothing but a tourist destination, but there are a surprising number of western entrepreneurs doing business there. Many expats enjoy a comfortable lifestyle living in Indonesia exporting the goods and wares of the Island back home to Australia, or other places abroad. No matter what Visa you get – make sure you register with the local Banjar (or pay a local to register you) to avoid a hefty fee for not being ‘registered’. Like much of life in Indonesia, they have their own ways of doing things, and its best to smile and nod, and go about your day. Its easier to swim with the stream than against it, particularly if you are planning an extended stay. Registering with the local Banjar is really only necessary if you are staying in a rented house or villa, the hotels are exempt from this. The better ways to stay longer term are to set up a social visa which comes with a stay of six months, but only one entry, meaning you can only enter the country one time, and cannot leave even once for those 6 months you are on the social visa. Another option is a business ‘investor’ visa which gives a considerably longer stay and is much more flexible. An Investor Visa is not to be confused with a work permit which includes permission to stay and work, which is called a Kitas, and is more difficult to obtain. The best way to stay long-term in Bali might be a business visa. In general, a business needs to be capitalized with at least 100k USD. Furthermore, there will be other associated costs of doing business. Balinese culture is unique, quite different from the rest of Indonesia. For example on Nyepi, Balinese new year, the entire island shuts down and no one is allowed to leave the house. No ATM’s, no restaurants, no flights. Imagine that for a moment. An island of 4 million puts sheets and boards up over the windows and NO ONE goes outside, save for the local Banjar (police/local authority) who tell others to go home. If you get caught outside on Nyepi, you’d be taken to a holding area and held there until it is over. Hindu Balinese aren’t supposed to use fire, and many fast on this date. The reason for Nyepi? People believe that the evil spirits are scared away by the parades with monsters the day before, and the next day they return to the island and see no one there, the people are safe for another year. The island of Bali has about 4 million Balinese citizens who are mostly Hindu, and shrines or temples can be found on what feels like every street. The architecture in Bali is truly amazing, a style all its own. It’s difficult to start a business as an official Indonesian company. You need about $100,000+ and to inject that money in the bank account (or bonds) and you can’t just withdraw that money right away. This would enable you to get a KITAS and run the business while in the country. Many people choose this route simply because it is the easiest way to stay in Indonesia long term. 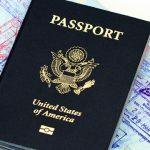 Regardless of the business opportunity, a company is oftentimes a method of securing permanent residency. 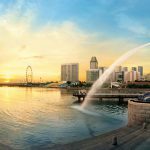 Starting a business to gain residency in Thailand is popular, many entrepreneurs start a business for Singapore residency, and indeed, Indonesia is no exception. Foreigners are not allowed to buy real estate in Indonesia. However, where there is a will, there is a way, and it’s not uncommon for foreigners to have property they have purchased through a proxy, which leaves them somewhat exposed. Some common methods for securing the property through liens (that are effective elsewhere) are not useful in Indonesia. For instance, in other places, a mortgage could be placed against the property. Not common in Indonesia. Banks in Indonesia will not provide financing (and hence a “mortgage”) on a property where there is no Hak Milik or freehold deed or title to the property; therefore that pretty much bars or enjoins a foreigner from availing themselves of any form of traditional local financing since they cannot “buy” a property in the first place or truly “own” it in a freehold estate or Hak Milik. A 20% down payment and the prevailing interest rate is somewhere between 12-15% which makes owning even for an Indonesian not as easy as elsewhere – such as the United States; where the FHA, local or state HDA (Housing Development Authority) can provide a loan program. Some of these loans in the US for first time home buyers typically only require 3% down payment. A “lien” against the property is not a viable solution here either in Indonesia as far as getting that “lien” recorded, perfected and placed in the National, regional or provincial Land Division Agency or “BPN” here. I have seen cases where they have issued multiple deeds on a property to separate individuals causing subsequent land disputes or issues. They have no system of “public records” or recording of deeds or liens as we know it in the States. The “lien” would not be any more valuable than the paper it was written on. Links to more research on a foreigner “buying” real property in Indonesia through either a nominee or through a PMA. A foreign national or “bule” can get a Limited Stay (social visit) Visa or a “KITAS” for either one or two years which can be renewed multiple and concurrent times. A foreign national can also get a Permanent Resident (PR) Visa or “KITAP” here also. At the expiration of a current KITAS you would get an EPO (exit permit only), go out of Indonesia which effectively cancels your current Visa (such as going to Singapore or Kuala Lumpur), then re-enter under a renewed Visa which just resets the clock again for another one or two year period. I have found no restriction on the number of concurrent or multiple times a foreign national can do this; so it appears you could just keep “resetting the clock” indefinitely. The visa system is not simple, and Bali can fit in nicely into Flag Theory only if you truly enjoy the culture, the food, the people, and the lifestyle. As far as a purely strategic location to do business – look elsewhere. Jakarta or the countries of Thailand and Singapore are better strategic options in Southeast Asia.